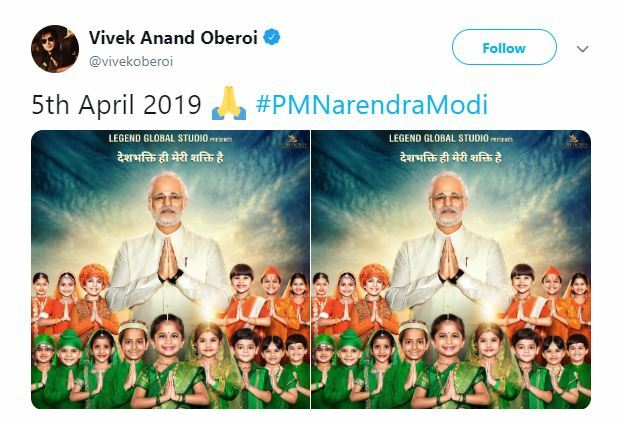 New Delhi [India] Mar 19 (ANI): Vivek Oberoi starrer ‘PM Narendra Modi’ will now release on April 5. 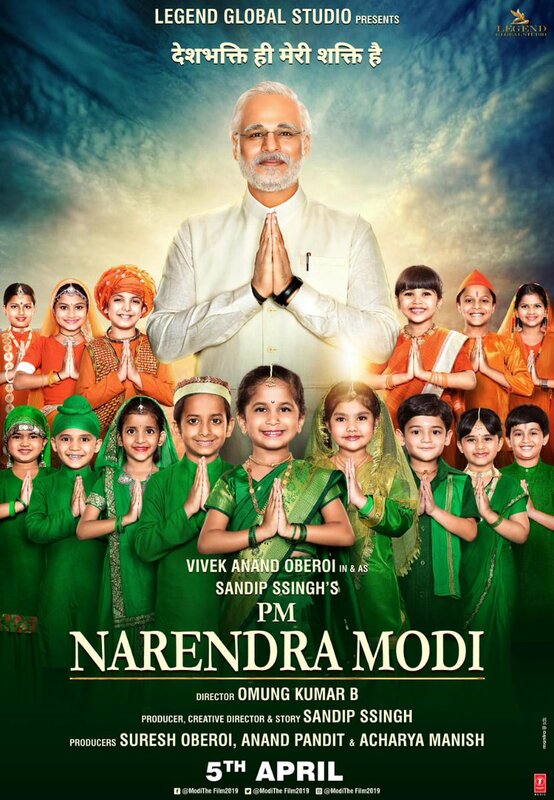 The biopic based on the life of Prime Minister Narendra Modi was earlier slated to hit theatres on April 12, this year. 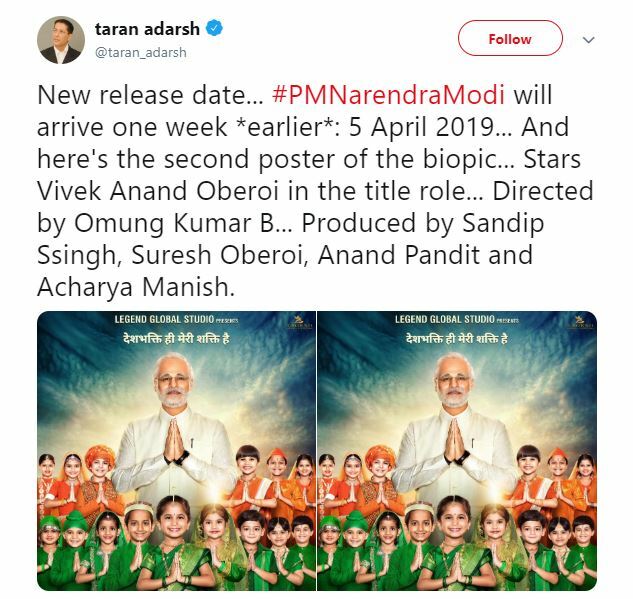 Indian film critic and trade analyst Taran Adarsh announced the new release date of the film on his Twitter handle. The film was earlier scheduled to release on April 12, a day after the completion of the first phase of the General Elections. The 2019 general elections will be held from April 11 to May 19. The first phase will cover 91 constituencies across 20 states, including Andhra Pradesh, Assam, Bihar and Chhattisgarh. On Monday, the makers had released nine different looks that Vivek will don in the upcoming biopic. The film will be released in Hindi, Telugu and Tamil. The biopic will be helmed by Omung Kumar, director of some critically acclaimed films including 'Mary Kom' and 'Sarbjit'. The biographical drama is being produced by Sandip Singh.